Located in the quaint development known as the Huntington in Pacific Palisades, CA, the Toyopa Residence seeks to create a sustainable modern abstraction of the traditional house. Surrounded by stately residences of varying historic styles, the Toyopa Residence responds with a simple and elegant composition of forms that celebrate the traditional notion of house. The genesis of the idea was sparked as a direct response to the guidelines set forth by the local Homeowner’s Association that requires 75% of the roof to be sloped. The solution employs an extrusion of the iconic house form for the two primary volumes. To further push this formal approach, the materiality of these volumes attempts to blur the boundary between roof and wall by skinning the two surfaces in the same wood shingle. This allows for the purity of the volume to be expressed rather than having a typical distinction between these two surfaces. 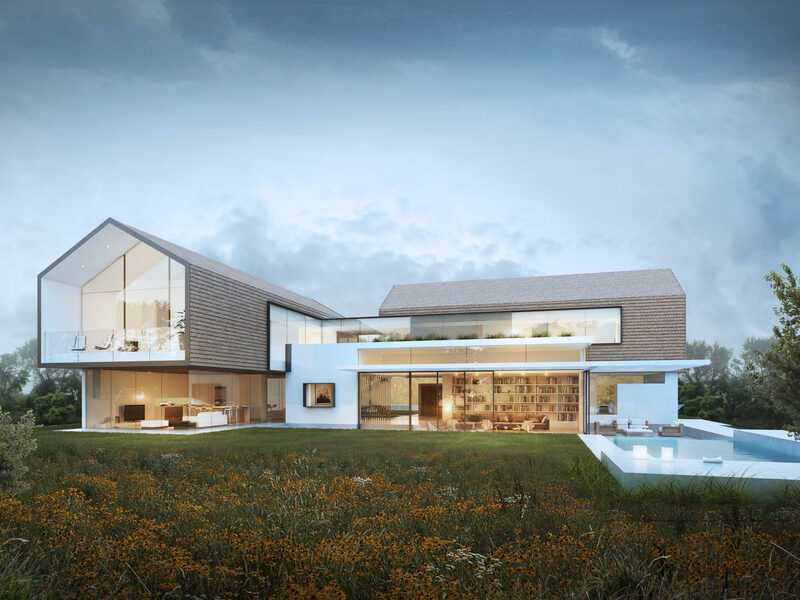 The free flowing plan accommodates a modern lifestyle while allowing a seamless integration between the indoor and outdoor environments, encouraging year around outdoor living. 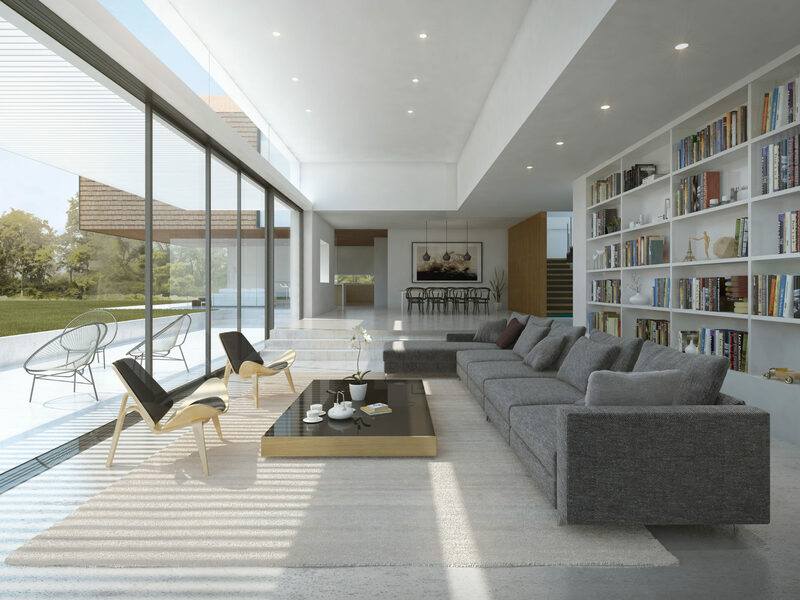 Abundant uses of natural light activate the interior spaces, allowing the house to 100% day lit. Sustainable practices embody the solution of this residence and the project will attempt to obtain a LEED Silver certification. Operable windows and large expanses of sliding doors take advantage of the prevailing breezes and eliminate the need for a traditional HVAC system. Operable skylights create solar chimneys that assist in allowing the hot air to escape, helping to keep the building cool. The use of radiant heating and thermal mass floor assemblies throughout the residence also eliminate the need for a traditional heating system and utilize a more efficient method of heating. The project will use solar panels for the projects energy needs as well as domestic hot water. All of the materials throughout the project will be Low VOC content and recyclable materials.